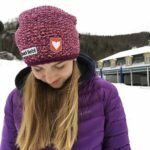 We love seeing our customers with our beanie ! Feel free to send us your photos ! Send your photos to info@heidiliebt.ca or on instagram @heidiliebt.north.america !